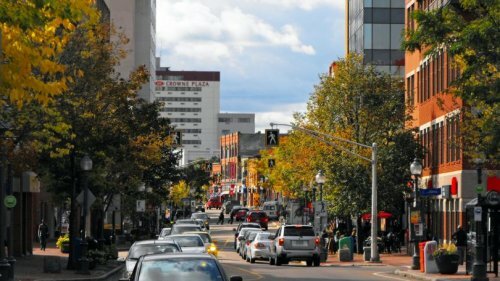 The initiative consists of a two-prong approach to further the growth of social enterprises in Greater Moncton – the Community Accelerator and the Hub Fund. “This truly is a community project,” said Dale Ritchie, president of McKenzie College, and instigator of the initiative, in a release. The Hub Fund is a community investment fund with a goal of $1-million. An independent board will govern the fund and any social enterprise in the region will be eligible to apply. Applicants will have the opportunity to present to an investment committee that will be in charge of making investment decisions. The Community Accelerator is a program developed to help social entrepreneurs that have an idea for a cause or enterprise but may not have all the skills and resources they need to put it into motion. The accelerator will help them be successful in their problem-solving endeavours. The accelerator will be facilitated by McKenzie College. “Social enterprise is one of the fastest-growing business models in the country because consumers, millennials in particular, are demanding that businesses be more actively engaged in solving social and environmental issues,” said Wendy Keats, Executive Director of the Cooperative Enterprise Council of New Brunswick.